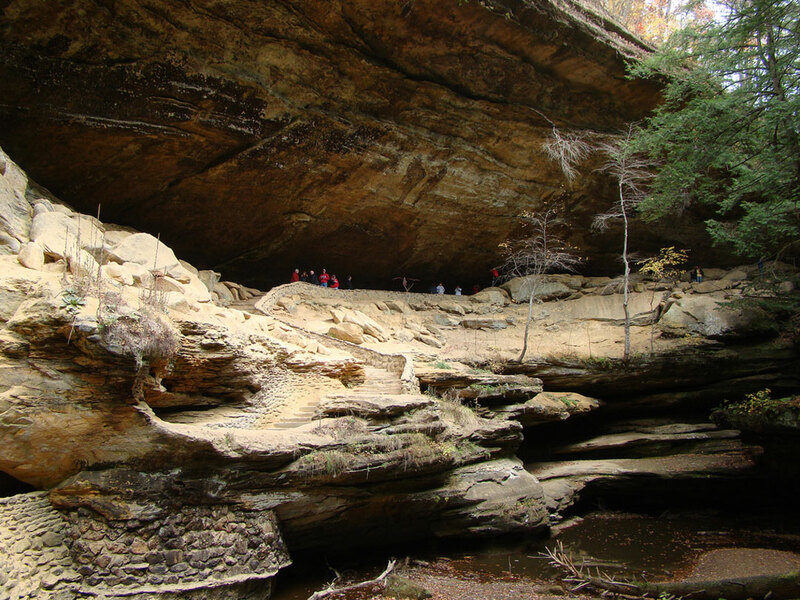 The most popular of all the Hocking areas is Old Man’s Cave, located on State Route 664. 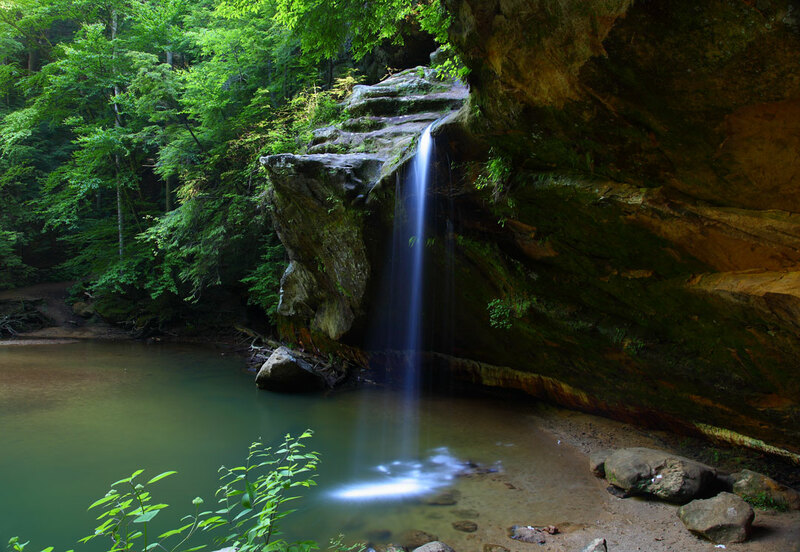 Here at the Upper Falls, the Grandma Gatewood Trail begins its six-mile course connecting three of the park’s areas: Old Man’s Cave to Cedar Falls to Ash Cave. This same trail has been designated as part of Ohio’s Buckeye Trail as well as part of two national systems – the North Country Scenic Trail and America’s Discovery Trail. 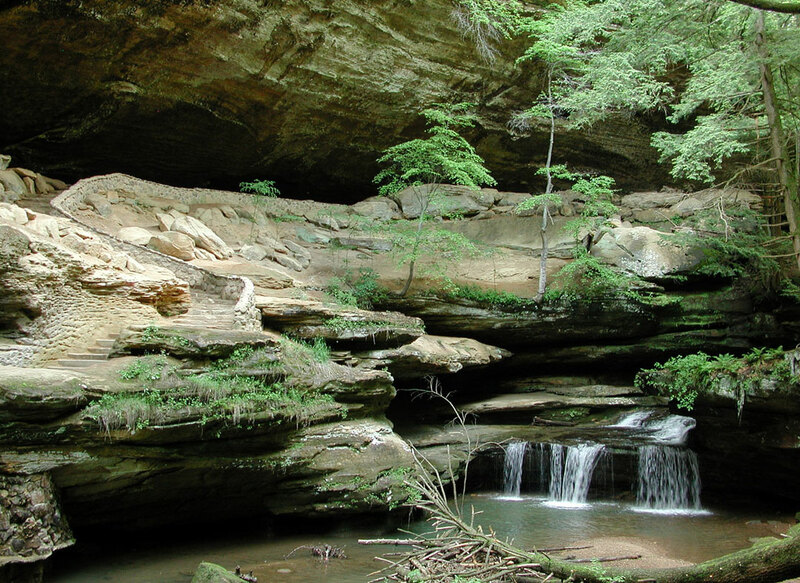 Old Man’s Cave derives its name from the hermit Richard Rowe who lived in the large recess cave of the gorge. His family moved to the Ohio River Valley around 1796 from the Cumberland Mountains of Tennessee to establish a trading post. He and his two dogs traveled through Ohio along the Scioto River in search of game. On one side trip up Salt Creek, he found the Hocking Region. Rowe lived out his life in the area and is buried beneath the ledge of the main recess cave. Earlier residents of the cave were two brothers, Nathaniel and Pat Rayon, who came to the area in 1795. They built a permanent cabin 30 feet north of the cave entrance. Both brothers are buried in or near the cave. Their cabin was later dismantled and relocated on the nearby Iles farm to be used as a tobacco drying house. 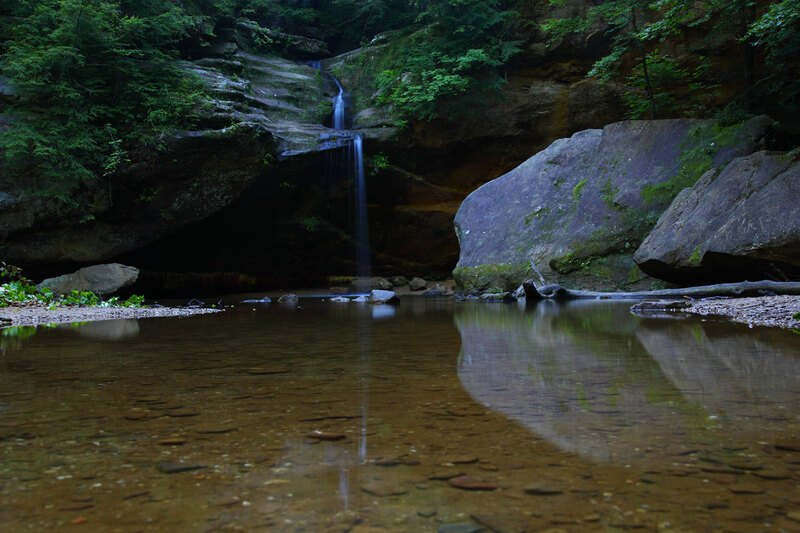 The Old Man’s Cave area can be divided into five principal sections found along the valley of Old Man’s Creek. In order, they are: Upper Falls, Upper Gorge, Middle Falls, Lower Falls and Lower Gorge. 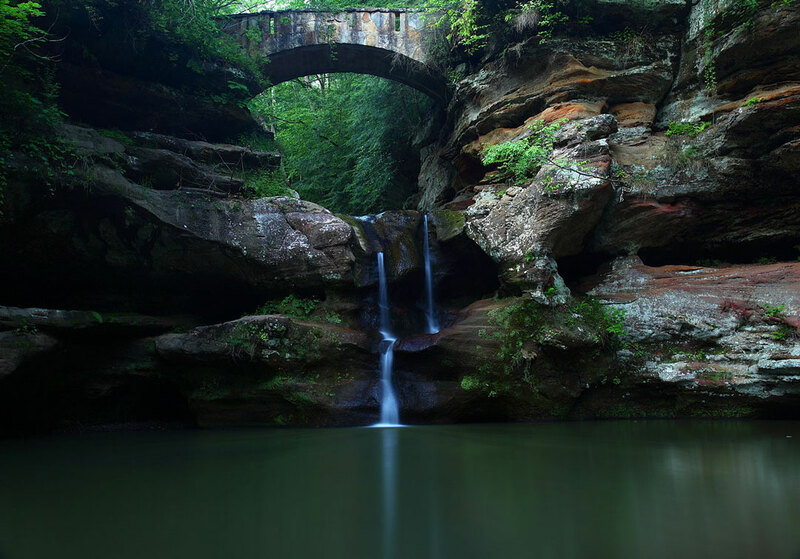 Along the length of the trail the magnificent gorge cuts through the entire 150-foot thickness of the Blackhand sandstone. 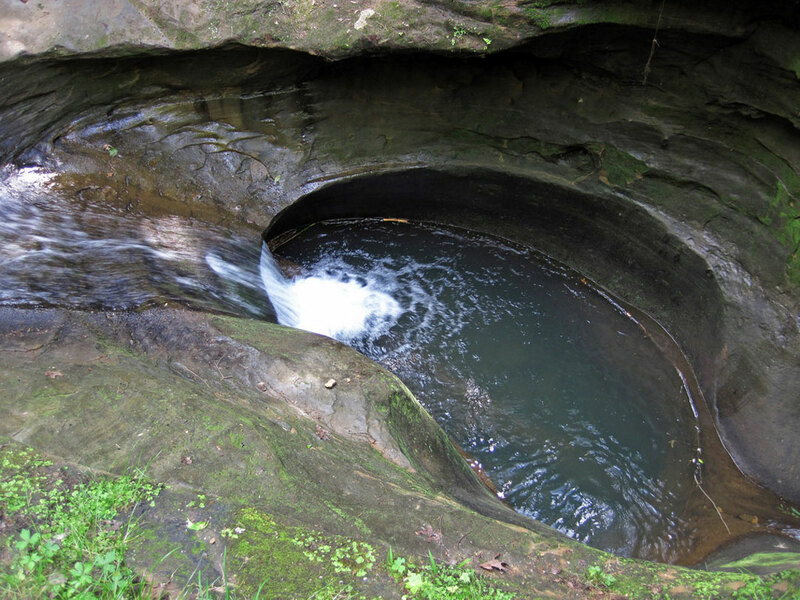 Carved by the creek, the gorge serves as an avenue for visitors to peer into the earth’s subsurface. The full distance of the gorge is approximately one half mile.